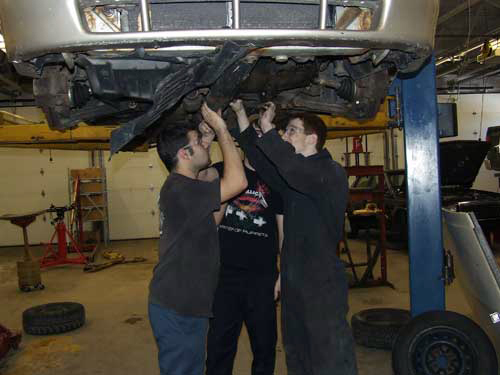 The automotive mechanics technology student will learn to do almost any type of automotive adjustment or repair necessary. 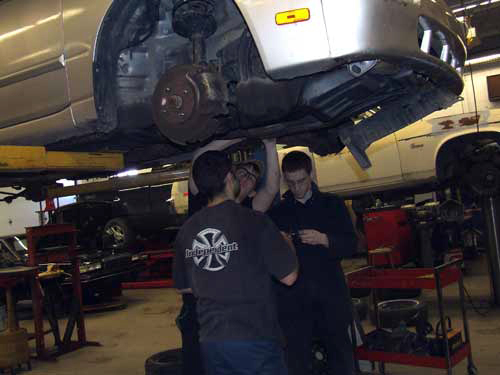 These duties include disassembling and overhauling engines, clutches, CV joints, and other parts of the automobile; in addition to, grinding valves, repairing brake systems, diagnosing and repairing electrical systems, and performing wheel alignments. The chief skill learned will be the ability to find the cause of the faulty operation, locate the defect and repair or replace it. 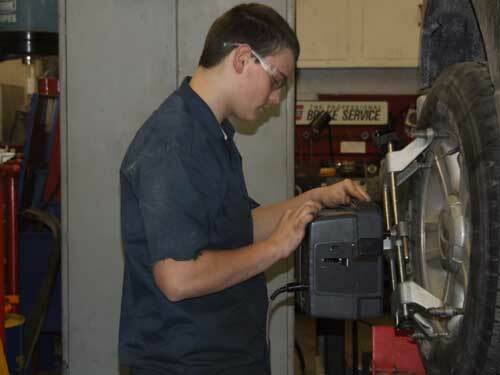 Students use Snap-on diagnostic scan tools, and Hunter Alignment Equipment. They will also use ALLDATA, which is the leading provider of automotive diagnostic and repair information. The Pennsylvania Department of Labor & Industry estimates that there will be over 1,200 openings available annually for skilled automotive mechanics. "This program allows me the opportunity to have hands on training in my future career field. It is a great educational experience." "I have gained a great deal of knowledge over the four years I was here. It gives me a lot of options."